Her Fearful Symmetry opens with Elspeth Noblin’s death from leukaemia. Elspeth had been estranged from her twin sister, Edwina, for twenty-years. After her passing it is discovered that she has left her flat to Edwina’s children, Julia and Valentina Poole, who are also identical twins – under the condition that they live there for one year and that their parents never cross the doorstep. The twins grew up in America, and they find the prospect of moving to London quite exciting. Elspeth’s flat is in Highgate, a beautiful area of London, and it borders the famous cemetery of the same name. Julia and Valentina soon get to know the other inhabitants of Vautravers Mews, living and deceased, and are forced to face uncomfortable truths about their own relationship. Her Fearful Symmetry was widely discussed all over the blogging world two years ago, and its release came after some of the most eager anticipation for a new novel I remember seeing. Considering that this was Niffenegger’s follow-up to The Time Traveller’s Wife, the excitement was hardly surprising. I was as eager as anyone else, but once I actually had the book in my hands, I kept putting off reading for no particular reason. In the end it took me two years to actually get to it – funny how that happens with so many books we think we need to have right away, isn’t it? Anyway, the point of this anecdote is to say that for once I’m actually glad it took me so long to get to a book – in 2009, I might very well have been mislead by my expectations, as many other readers were. But right now, not only had my expectations been adjusted but this was absolutely the right book at the right time. I read Her Fearful Symmetry in early September, when the weather was turning cooler and the first signs of Autumn were beginning to show; and I read it right after a visit to Highgate Village and Highgate Cemetery. I wanted a story that captured the atmosphere, richness and historical resonance of the place I had just visited, and what could have been more perfect than this novel? As most of you probably know, Her Fearful Symmetry is a ghost story. Although Elspeth dies in the opening chapter, she remains trapped in her flat and observes Julia and Valentina as they attempt to adjust to their new lives. One thing that initially surprised me was the novel’s mood: it’s subtle, quiet and subdued, and it put me in mind of gentle, benign ghost stories such as A Fine and Private Place by Peter Beagle. But this initial sense of security is misleading, and things eventually take a much darker turn. Though nothing about the plot was exactly unexpected, there was a certain scene that still gave me shivers – the way Niffenegger describes Robert Fanshaw’s dawning realisation and the wrongness of everything that is happening is impressive. But I loved that even then, things are dark and dangerous in very human ways. Her Fearful Symmetry is unsettling because people can be unsettling, and personally I find this far more effective than purely supernatural horror. People mislead and manipulative each other; people are afraid and hurt those they love. The mistakes these characters make out of fear, desire, or a combination both are far more troubling than the ghosts alone could ever be. My favourite thing about the novel, though, was part of its gentler side: Martin and Marijke Wells’ plotline. Martin and Marijke are two of the residents of Vautravers Mews, but Marijke leaves before the twin’s arrival because even though she loves her husband she can no longer live with the rituals his obsessive-compulsive disorder imposes on their lives. I loved the tenderness and compassion with which Niffenegger portrayed this couple; I loved that she explored the intersection between love and all the other things that are needed for a relationship to work; and I loved the touching conclusion of their story. It’s this knack for capturing relationships and each character’s emotional landscape that will always keep me coming back to Audrey Niffenegger’s writing. I finally got a copy of this a few months ago even though I was dying to read it when it first came out. Highgate is one of my favourite places in London (plus I live nearby), so I may take a leaf out of your book and take a stroll there before reading this one. I did read and review this (last year or the year before - can't remember! ), and it was to my advantage that I read it BEFORE TTW, so my expectations were in check. I didn't love this book, but I really liked it. It was creepy in a very subtle way. The thing with the kitten gave me nightmares, literally. One of my friends read this a year or two ago and his reaction was so negative that I figured I'd never read the book myself. (Or maybe he just STARTED the book...I mean, he really hated it and wasn't stinting in his criticism of Niffenegger's style.) I even avoided The Time Traveler's Wife for a while because of this book; but of course I loved TTTW, and have been wondering recently about Niffenegger's follow-up. I'm glad your review is more positive than the last one I received, because as hesitant as I am to read another book by AN (what if it doesn't live up to her first? which pretty much NOTHING can live up to? )...I want to see what else she can do. Putting this one back on my list. I avoided this during it's initial hype, too, and bought it at the library's used book sale last summer... thinking I'd read it for RIP. It's just about time to choose a new book - thanks for the reminder! When the buzz for this one became manic, I knew I had to wait to read it. I'm glad the timing was right for you! I wasn't a fan of TTW so I wasn't sure I was going to read this one. I picked it up from the library a couple of weeks ago, but was still a bit undecided. After your review, I'll definitely give it a go. It's tough for books when we come into them with certain expectations. I'm glad the time lapse resulted in a good reading experience. I read it just slightly after the manic buzz started but still managed to like it even though my expectations were very high. The subtle creepiness is what I liked most; and that it comes from the people and not the ghost makes it all the better. I can't say it was better than TTW but I liked and enjoyed it on its own. It's hard to separate the book from the buzz sometimes which is part of the reason I usually (sometimes it happens) don't read anything on bestseller lists. I really liked this one, but I remember a lot of bloggers being disappointed. I often buy a book in eager anticipation and then it languishes unread, so I certainly understand how that would happen! I haven't read this one, and have been a little less than eager because of some of the other opinions that I have read. But then again, I do love a subtle ghost story, and think that with fall and Halloween approaching, it might be time to grab this one up and give it a try. I really respect your opinions, so this book has just climbed up a few spots in my estimations. I think I am going to have to go for it! I was very underwhelmed by this one - I don't think it was so much that it didn't live up to her previous novel, but more that the story struck me as sort of silly, and I saw THE BIG REVEAL coming for miles. And may I say, I thought it was a pretty lame secret. But like you, I did like the Martin/Marijke subplot a lot; if the book had been a novella about the Wellses, I think I would have been all praise and thanksgiving! I still have this one my tbr list. I hope to get to it someday. After reading your review I think I might not keep waiting to read it. I think holding off on this one was a good idea, especially considering the season and your recent visit. I also love the Martin/Marijke story! Nice review, Ana! Glad to know that you read 'Her fearful symmetry' two years after you got the book and the book aged gracefully like old wine. I remember reading 'The Master and Margarita' like that - reading it a few years after getting it - and discussing it with a Russian friend who highly recommended it and feeling glad that I finally read it at the right time. I have not read any of Niffenegger's books, but I have seen the movie version of 'The Time Traveler's Wife' and I loved it. 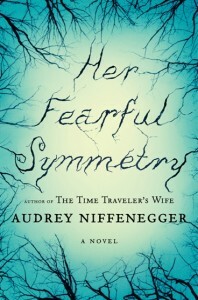 I am not sure whether I will read 'Her fearful symmetry' - though your review compels me to - but I will definitely watch the movie version if it comes out. Thanks for this interesting review. I was underwhelmed by this one as well. I just couldn't bring myself to like any of the characters, but now you mention it the Wells' relationship was one of the better points. I really wish I'd waited to read this one. I loved TTW so much that I picked this one up as soon as it was released. Obviously my expectations were way too high and I was disappointed. I did love Martin as a character though. He was the only one I was attached to. I'm glad you read this. I loved the first part, couldn't STAND the kitten part, loved Martin and Marijke, and was disappointed by the end. But oh yes, smitten with Highgate Cemetery! Even though TTW and HFS were so different, I liked that they both dealt with the theme of love transcending time and place. Both are so original, though this one was far more eerie and bizzare. I can't wait for her next book, whenever that may be. Hmph, I think Mumsy's just being persnickety. I liked this book! I love a ghost story, and I don't care about big reveals (wait, was there a big reveal? ), and I'm surprised Mumsy claims to since she, like me, reads the end. Also I liked it that Audrey Niffenegger waved hi at the Doctor Who episode that was most plainly influenced by her book. Class move, Audrey Niffenegger, and not just because I always like a shout-out to David Tennant. I read this one when it came out. While I didn't feel it quite lived up to The Time Traveler's Wife, I did feel that no one but Niffenegger could have made me like that story. I thought the story was weird. It was the way she wrote it that made me enjoy it. Though I do think the Martin and Marijke storyline was my favorite part. Completely agree with you on Martin and Marijke's plotline. So much going on there, so subtle. And at the same time so fascinating (voyeuristic? )to read about the daily life of a person with this disorder. I was hooked from the moment she's deciding where to place her Dear-John letter. To Laura whose comment was sent to spam and disappeared when I tried to rescue it (sorry, sorry): I hope you enjoy the book when you get to it! Sakura: That's so cool that you live near Highgate! I went the day after the British Library event and completely fell in love with the area. Ellen: I can see how her writing wouldn't be for everyone, but personally I love it - and that makes a big difference, because the appeal here really isn't the plot. But since you loved TTTW I think you could enjoy this one a lot. The trick is to accept all along it won't be in the same league! JoAnn: It's perfect for RIP, I think. Enjoy! Kathy: I'm definitely glad I waited! I think my expectations two years ago were far too high. Kristi: It's very different from TTW, so it's definitely possible to dislike one and enjoy the other! Amy: Yes, that was what I liked about it too. Very subtle and very human. Lola: In this case it was a good thing! Mumsy: I think the fact that I wasn't excepting a big reveal due to other reviews influenced my reaction. Although I enjoyed this I wouldn't say no to a whole novella or novel about Martin and Marijke! 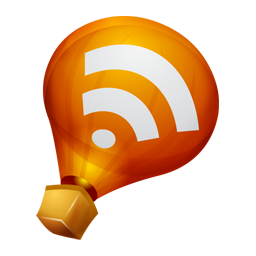 Linda: I'm glad I wasn't the very last person to read it :P Enjoy! Trisha: It's just lovely, isn't it? That's the kind of thing she does best. As someone who reads a lot of blogs, I'm glad you didn't read and write about this one back when it was first released because I admit that I get overwhelmed by the deluge of reviews that tend to follow popular new releases. It's one of the reasons I'm very hesitant to join book tours or do read-alongs, because I get really tired when my Google Reader has 20 posts all on the same book on the same day. I just burn out! I didn't really care for The Time Traveler's Wife at all, but I think that the material in this book sounds a lot more appealing! If only I could be assured that Niffenegger got a better editor... One of my huge peeves re: TTW were all the extraneous, irrelevant details! I read this when it first came out, having no idea about the author or what the book was about. I loved it! I thought it addressed some fairly profound questions about the nature of love and about being in the world. I must read it again sometime. I adore how Niffenegger creates such beautiful, touching but sometimes tragic relationships. However I think I read this book too soon after reading The Time Traveler's Wife, and found myself comparing them too much which took away from my enjoyment of the book.